Carbon fiber is pretty, and it's a cool technique to implement with car design... but what about doors? Who cares, you say? I agree, but it still didn't stop this door from becoming a reality. 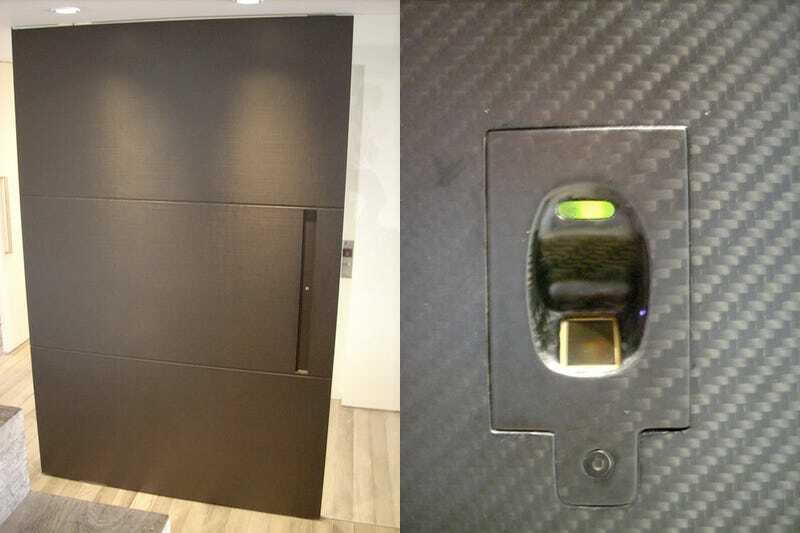 In addition to the hefty $15,000 price tag, this door boasts a biometric sensor that serves as the lock. Oh, and lots of carbon fiber. Did we mention it's made of carbon fiber? There was, sadly, no word on what this door was protecting. An underground secret lair, perhaps?